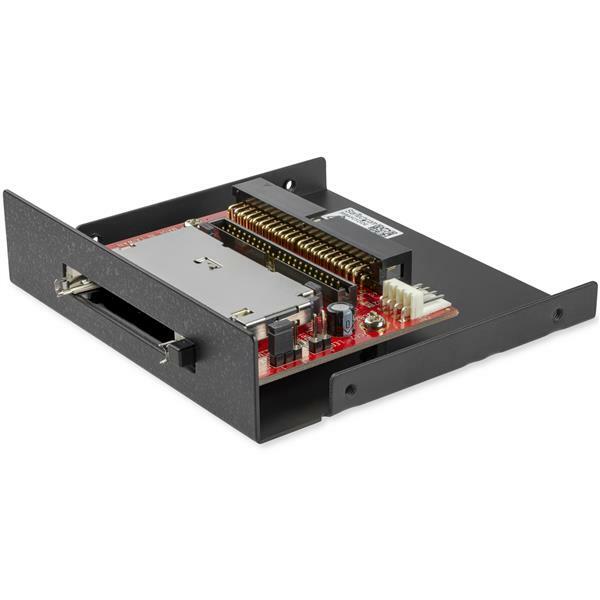 This Compact Flash IDE adapter is a perfect solution for accessing CompactFlash (CF I, CF II) and IBM Micro Drive media, allowing you to access the flash/micro drive media as if it were an IDE hard drive. 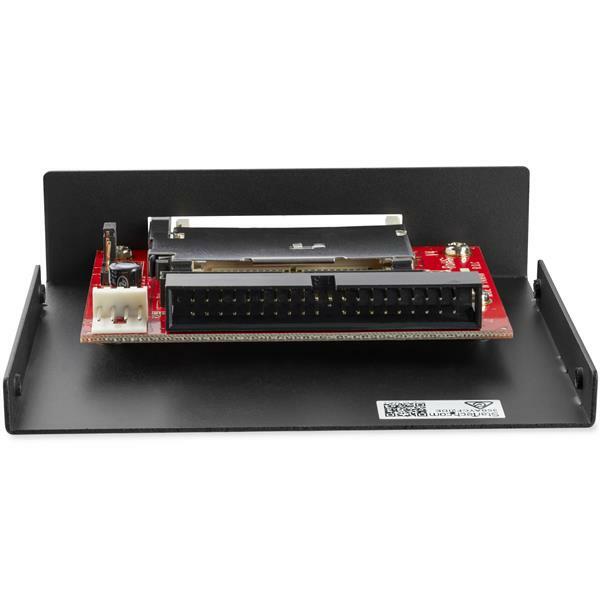 The CF/IDE adapter can be installed in the computer case through simple mounting in an available 3.5in drive bay, for connection to the computer IDE bus through either a 40 or 44-pin connection. 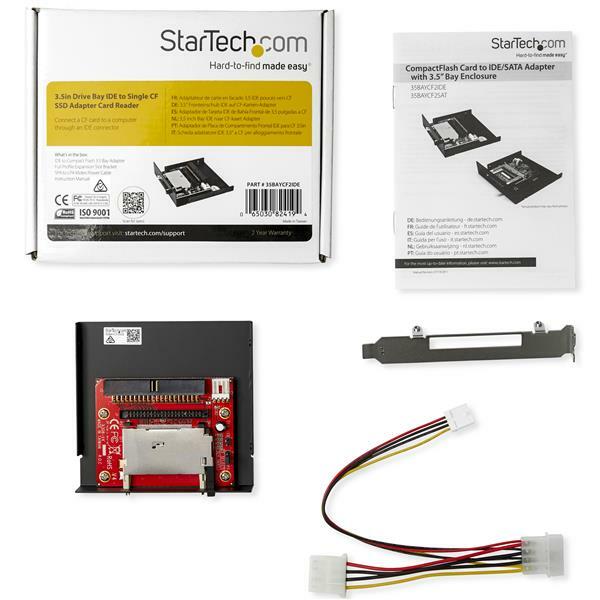 Designed and constructed to provide a reliable media card platform, the CF IDE adapter is backed by StarTech.com's 2-year warranty. Excellent for swapping operating systems quickly without having to take your computer apart. Note This product does not support hot-swapping of flash cards while the PC is powered on. You must turn-off your computer to switch cards. Is there a minimum size of IDE hard drives I can use with this hard drive accessory? Note: For more information on how to detect an IDE hard drive, visit http://www.startech.com/faq/hard_drive_accessories_ide_detection. Older IDE drives are not supported by current StarTech.com products. Typically, these drives were made earlier than the mid-to-late 1990s and are smaller than 1 Gigabyte in size. The drive uses PIO (Programmed Input/Output) mode and not DMA (Direct Memory Access). The drive is non-ATA or is using an ATA mode that predates the chipset's compatibility (usually older than ATA-4). The sector size is not 512 bytes. Unfortunately there is no workaround in these situations. 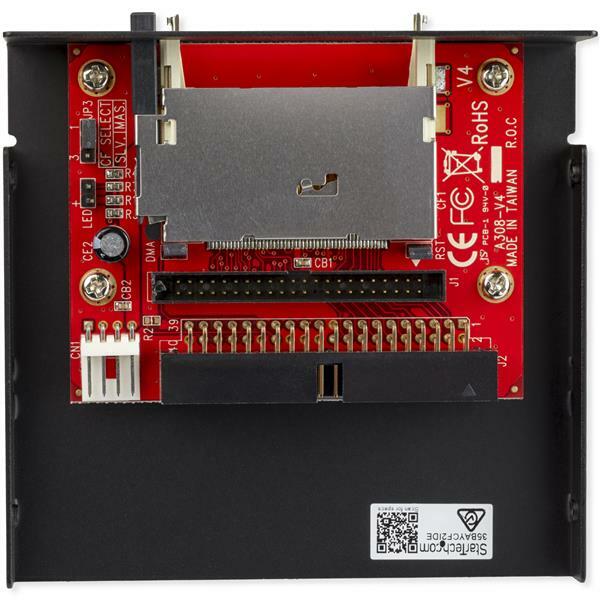 An older system or an older IDE controller card must be used to access older IDE drives. My hard drive accessory is not detecting my IDE hard drive. What do I do? 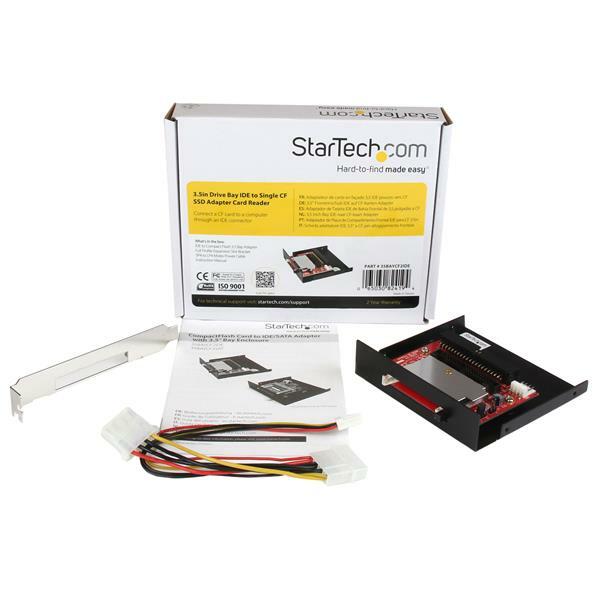 If you are unable to detect your IDE (PATA) drive using a StarTech.com product, you may need to change the jumper settings on your drive. The jumpers switch the drive between Master, Slave, and Cable Select for most drives. A jumper is a small plastic piece that slides on top of two pins to electrically short them together. When it does not mention what IDE drive configuration is required or if there is only one drive in the setup, the drive should be configured as Master. If Master is not working, try using the drive in Cable Select. There is no standard position for the jumpers on IDE drives. On some drives, the jumper diagram is on the label that is on the top of the drive. On other drives, there are markings on the circuit board for CS, MA, and SL, which means a jumper shorts the pins vertically in that position. For more information, refer to the documentation provided by the manufacturer.